Barcelona: Manchester City coach Pep Guardiola was defiant he will not change his ways despite a harrowing night for goalkeeper Claudio Bravo on his return to Barcelona as a Lionel Messi hat-trick inspired a 4-0 Barca win on Wednesday. Bravo was sent-off with City trailing just 1-0 for saving Luis Suarez's effort when outside his area after gifting the ball to the Uruguayan striker, putting Guardiola's decision to jettison England number one Joe Hart under more scrutiny. "Until the last day I am a coach I will try to play from the goalkeeper," said Guardiola. "Of course you cannot play all the time, but it was a mistake and it sometimes happens." Bravo enjoyed two almost faultless years at Barca before joining City in August, but has endured a shaky start under Guardiola's firm instructions to build City's attack from the back. "He (Bravo) has a lot of experience, he is one of the best goalkeepers in the world for the last 10 years, but he will learn and is the first one in the dressing room to apologise." Bravo's gaffe was just one of many City defensive howlers on the night as Messi took advantage of Fernandinho's slip to give Barca an early lead. Messi curled home a second before Ilkay Gundogan's misplaced pass played in Suarez, who squared for Messi to complete his hat-trick. The scoreline could have been even more embarrassing for City had substitute goalkeeper Willy Caballero not saved a penalty from Neymar before the Brazilian made amends with a brilliant fourth. 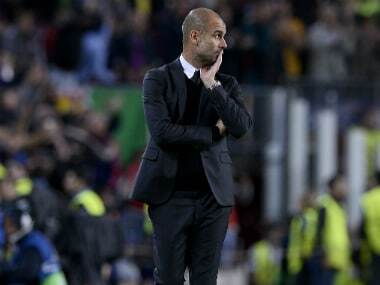 "It is always difficult to play in Barcelona with 11 players and with 10 the game was over," added Guardiola. "We created enough chances, we arrive at the byline many times, but with their strikers when they arrive they punish you." Guardiola won his first 10 games in charge, but City have now failed to win any of their last four matches and the Catalan lamented the series of error-strewn performances affecting his side. 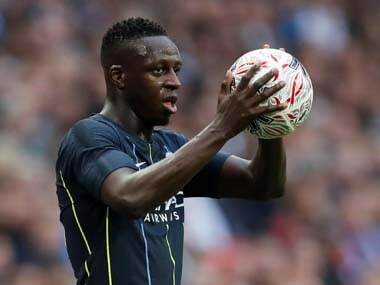 A 3-3 draw at Celtic was followed by a 2-0 defeat at Tottenham Hotspur before City missed two penalties in a 1-1 draw with Everton on Saturday. "Starting in Glasgow, own goals in White Hart Lane (against Tottenham), missing penalties, we give a lot for the opponents," he added. 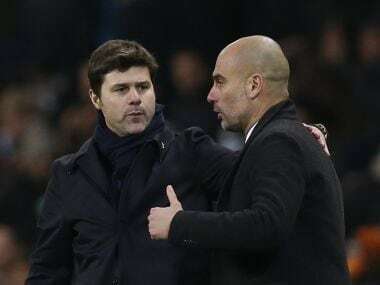 Guardiola, who won 14 trophies in four years in charge of Barca, has now lost on both occasions he has returned to the Camp Nou after losing 3-0 in 2015 when with Bayern Munich. However, Guardiola's former teammate and Barca boss Luis Enrique agreed Bravo's dismissal changed the game. "The sending-off was decisive and conditioned the game a lot," said Enrique. "Teams that try to play from the back know those errors can happen and you have to accept it. In the long-run it is more beneficial." Messi has now scored two hat-tricks in as many games in this season's Champions League as the Argentine showed no signs of rust on his first start for a month after a groin injury. "We have seen the calm that Messi has to finish inside the area as if he was in the school yard," added Enrique. "If there is anything you can expect of Messi it is that. It doesn't matter how many days he has been out or the games he has missed."